Andhra Pradesh government today announced the long pending Nandi Awards for the years 2012 and 2013. 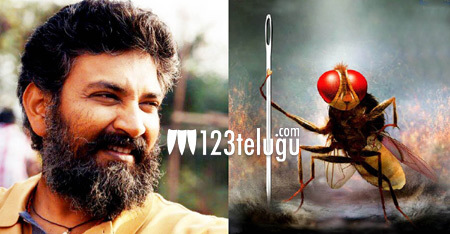 Maverick director SS Rajamouli’s visual extravaganza, Eega, swept away most of the top honors for the year 2012. Eega clinched Nandi awards for Best Film, Best Director, Best Villain, Best Music Director, Best VFX, Best Sound Effects Best Cinematography. Rajamouli took to Twitter a while ago and expressed his happiness over the Nandi honors, thanked his team members and congratulated all the co-winners. Eega also won the National Awards for Best Regional Film in Telugu and Visual Effects. Congratulations @MakutaVFX on winning the Nandi for best visual effects. Thank you for all the effort you put into EEGA. The eye of Eega, @DOPSenthilKumar very happy that one of your finest works got recognized. Congratulations on the Nandi Award. :).